I met another migraine sufferer last night and he and I spent a few hours discussing various symptoms, treatments, and attitudes about migraines. It puts me in an odd place to feel happiness at learning someone else is going through this. I recognize it’s not that I would wish this on anyone so much as it is having the opportunity to discuss my situation with someone who truly understands it. Talking triptans and DHE derivatives and triggers with anyone who doesn’t have migraines doesn’t seem like a good plan. Truthfully, discussing migraines with people who don’t have migraines isn’t usually a good plan. I either get the infamous “Have you tried…” or I get “Wow. How do you do it? I couldn’t do that.” The former is something I sit through because everyone means well and is trying to help. The latter just makes me feel badly. I’m no superhero. I do it because the other option is to die. So having a discussion with another person who understands aura and triggers and the crazy side effects of all the weird medications they try on you is awesome, even though a part of me feels like a bad person for celebrating that another person has this too! It just goes to show you that misery truly does love company. It’s so nice to find another person who feels your pain. It’s been my newest project and my reason for being offline so much lately. For the first time in my life I am building a garden. Day in and day out I dig and plant, hammer and staple, water and weed. There is something soothing and, well, down to earth about gardening. I can feel my connection with the earth healing some deeply hungry part of me. In the garden I am capable and strong, I am able to work for hours and not make my headache worse. I don’t know if it’s not straining my eyes on a computer screen or just that gardening is as replenishing as it is exhausting but my spoons don’t seem to be at risk when I am in the sun and communing with all the bees and plants. And boy do we have bees!! There is a house a few doors down with a hive and their happy little bees buzz around my Gerbera Daisies, Blueberries, Blackberries, Strawberries and Tomatoes. It’s possible that they love the herb garden even more. Best of all, the big blue fountain in my planter garden gets teeny buzzing visitors who fly over, settle on the rim, and delicately sip at the water in the bowl. I can watch the bees for hours. I put up a hammock under the tree and when I am not gardening or working I lie there smelling my spearmint, magnolias, and tomatoes while the bees buzz around me, resting from time to time on my knees. The sun is warm and the sound of the busy birds and insects is soothing. I seem to be coming back to life with the plants, growing stronger and standing taller every day. The long lonely years of pain and hardship look as though they may actually be in the past. I work, I garden, I walk, I swim. I take the kids places. I am once again living an outside life. I am not confined, alone with my cat, to a dark and quiet room watching the world pass me by on a dimly lit computer screen wishing desperately that I could be free. I am no longer a useless partner, mother, daughter, or friend. I have things to offer the world again. I have people in my life who walk beside me and encourage me to do what I can while reminding me to not overdo it. They value and cherish my contributions even though they are not what they used to be. I am learning to do the same. I suppose I am being cultivated as much as my garden is. I love how responsive plants are to my labors. A drooping plant will perk up within minutes of being watered, a seed poke through the earth within days of being planted. Every day I see the results of my labors blooming around me and I can’t help but bloom with them! I laugh and dance and sing again. I wake up early, even though I hurt, to take my medication so I can get to the garden faster. I have more energy now too so I can cook and walk to the grocery store and clean. I make delicious food for my family again and get pleasure out of seeing them gobble it up. My kids are eating vegetable soups and meatloaf and guacamole again, thrilled I am back in the kitchen making it. Dan is touched each and every day I make his lunch for work, happy I have thought of him and taken the time to insure he has a gracious plenty of healthy, delicious food while he keeps the peace in the brutal heat. My parents enjoy the food I cook and my mother loves that she is not doing the cooking. I am slowly learning that no matter what my professional future holds, whether I can litigate again or not, whether I can earn a decent living or not, I can contribute to the family in a meaningful way. I can be a goddess of hearth and home if I cannot be the career woman I dreamed of being. I find joy and a profound sense of accomplishment in the tasks I once deemed menial. Now they are the example of improved health. So my life is blooming again. 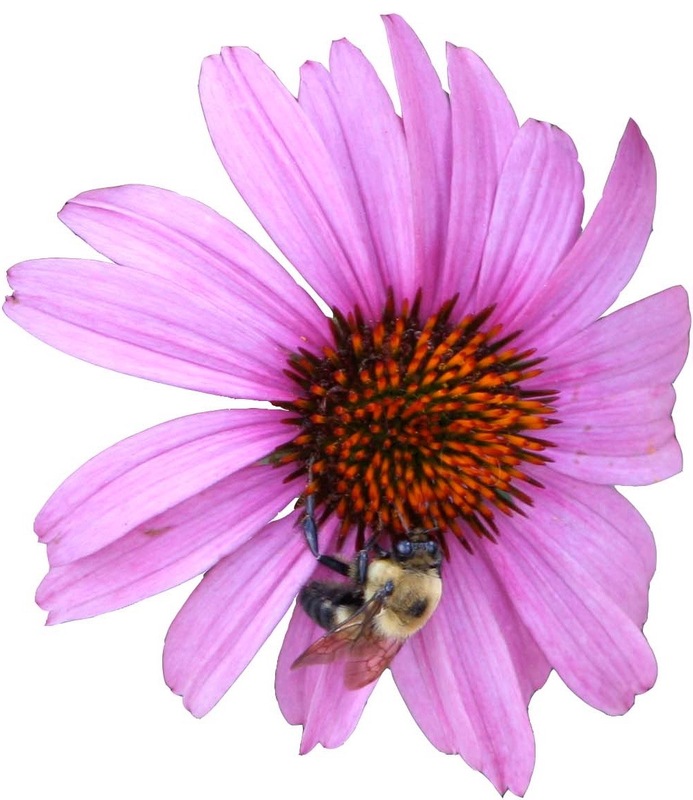 I think it’s time to bee calm and garden on. Did you know that focusing directly on your pain can inhibit your body’s ability to produce pain fighting endorphins? Apparently if you hurt and you lie there thinking about it you can actually make yourself hurt more. This may be why I feel better when watching t.v. or reading a book than I do when trying to go to sleep at night or waking up first thing in the morning. Having something distract me from my discomfort has been more helpful than any pain killer. The trick is managing the distractions in a way that doesn’t use up all my spoons. I can visit with people a couple of times a week but the gatherings have to be small and end early or else I sleep for days afterwards and feel like I can never wake up. I can work and clean, but I have to have days to rest in between. When I am resting I have to have distraction with minimal effort. So how do I rest with minimal distraction and still improve my mind? After all, there are only so many hours one can watch television or read before going quietly mad and if I crochet one more hat I am going to strangle someone with yarn. Don’t worry. I have plans. Evidence blogs, coding classes, sign language classes online, app development classes. The whole kit and caboodle. I may need to lie down and rest a lot, but there is a lot a person can do lying down. I missed the huge Memorial Day BBQ my friends were having. I wanted to go. I wanted to see everyone. I just couldn’t. I thought about a room filled with dozens of people laughing and talking over each other, children running around and playing, music, etc. I thought about myself, sitting in a corner, watching it all happen around me as my headache slowly began to build to an intolerable level. My photophobia and phonophobia are such that I can’t be at large, loud parties without developing a debilitating headache within about an hour. It’s been 8 months of headaches every day and I feel myself fading out of friend groups, excursions, and social life. It makes me so sad and angry and frustrated. I want to be at the big loud parties, the group events. I want to share in the moments these beloved people are making together. It’s yet another thing that I feel has been taken from me. I am disappearing from the world I used to belong to. I keep talking about this ailment I have, so whiskey tango foxtrot is it? Trigeminal neuralgia, or TN for short because it’s a tongue twister even for the medical crowd, is a chronic pain condition that affects the trigeminal nerve, which carries sensation from your face to your brain. TN causes the nerve’s function to be disrupted, usually resulting from contact between a normal vein or artery and the trigeminal nerve, causing the nerve to freak out and malfunction. Chemical imbalance can also cause TN. The “NOIVE” of some nerves. When you have TN, the slightest stimulation of your face, such as breathing, wind, cold, moving your hair back behind your ear, the kiss from your child, etc, can trigger an attack of of excruciating pain. I have a constant, ever present awareness in the left side of my face. Sometimes it feels like there is icy hot on it, sometimes it feels as though it is made of ultra fine glass. It’s not painful, per se, but it’s not pleasant. I also have the attacks that come with the tiniest degree of stimulation. When I was first diagnosed with the disorder, I had the attacks rarely, but now I have them dozens of times a day. Sufferers often initially experience short, mild attacks, but trigeminal neuralgia can progress, causing longer, more frequent bouts of pain, resulting in chronic pain and disability, including depression. The attacks last from 30 seconds to ten to fifteen minutes. They have a dozen different sensations as my brain tries to make up it’s mind about what the nerves are telling it. Brain: Dudes, seriously, are you actually being punched in the jaw, sliced along the cheek with a knife, set on fire, and doused in ice water, all at once? What is going on down there? Sometimes I feel like a lance has been driven from the top of my head down through my left shoulder. However, I am lucky. TN comes with depression, cause, OW. It also comes with isolation. I have my parents, Dan, my children, and a number of loving friends who have reached out, visited, sent loving texts randomly, called, emailed, and let me know I am not alone. I have support. I have people to hold me when I seize up and to remind me to breathe through it. I am going to be OK.
TN is first treated with medications, such as anti-convulsants and muscle relaxants. When that doesn’t work, they move onto brain surgery. Microvascular decompression. This procedure involves relocating or removing blood vessels that are in contact with the trigeminal root.During microvascular decompression, your doctor makes an incision behind the ear on the side of your pain. Then, through a small hole in your skull, your surgeon moves any arteries that are in contact with the trigeminal nerve away from the nerve, and places a pad between the nerve and the arteries. If a vein is compressing the nerve, your surgeon may remove it. Doctors also may cut part of the trigeminal nerve (neurectomy) during this procedure, if arteries aren’t pressing on the nerve.Microvascular decompression can successfully eliminate or reduce pain most of the time, but pain can recur in some people. Microvascular decompression has some risks, including small chances of decreased hearing, facial weakness, facial numbness, double vision, a stroke or other complications. Most people who have this procedure have no facial numbness afterward. There is a third procedure where they “Burn the nerve” causing complete facial numbness on that side. I was advised against that procedure because young people go quite crazy when they have a completely numb face. Apparently older people do not. I can try the Gamma Knife twice before the other surgery. I can do that surgery once. I was told this will come back after every procedure. It’s just a matter of time. So there you go, that is one of the two ailments I have. The other, chronic persistent migraine, I will save for another post. Have a good day y’all, I am off to play Eidolon and drink coffee. When I was in college I took a marketing class. In this class I learned that during the 1950’s a man invented a closed plastic mousetrap that would capture the mouse and kill it as effectively as the open wooden mousetrap, all without the mousekiller having to see or touch the mouse. This new and improved mousetrap was only a few cents more than the wooden trap. He went out of business. You see, despite being designed to be disposed of, the trap looked fancy enough that housewives across the U.S. were cleaning out the traps and reusing them, they looked to expensive to throw out. As cleaning out a dead mouse is revolting, they quickly went back to the wooden mouse trap we all pretty much use today. It’s all in the presentation. If the marketers of that mousetrap had made it look less attractive, we could be using their trap today. I have had a paradigm shift this week in the way I view my illness. I have had migraines since I was 12. My family has felt sorry for me, my friends have commiserated. I have dealt. Then my trigeminal nueralgia came along and for the most part, we all treated it like a different version of the migraines. Something really unfortunate that I just have to cope with. Something without any real cause that needs medicating. Until yesterday. A ha ha ha until yesterday. Yesterday I met with a neurosurgeon. First of all he made it clear that I have a condition that is different from the migraines. It’s an operable condition. 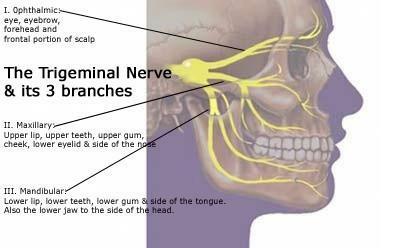 There is something physically wrong with my trigeminal nerve. Then he explained my options. I can either have gamma radiation rays aimed at my brain to permanently disrupt the connection between my nerve receptor and my face, or I can have inpatient brain surgery where they cut a hole in my head and insert a pad between the blood vessel and my nerve. Both have a chance of causing permanent numbness ranging from occasional tingling to complete “I just had a root canal” numbness. Neither is a permanent fix. Apparently my TN will always come back. There is a third option but I am too young, I can burn the nerve off completely. There is a 100% chance of complete face numbness with that one. Suddenly I wasn’t dealing with migraines any more. I wasn’t facing just migraine management and pain control. I was facing brain surgery and a physical nerve condition that has been treated for over 50 years but is still largely not understood. No one has any idea why the trigeminal nerve suddenly decides to fire randomly throughout the day and send shooting pain through my face. Some think it can be caused by age, some think head trauma, some are trying to link it to a specific virus, but as of now, they do not know. All they do know is they can stop the shooting for a while by cutting open my head or shooting me full of gamma rays. Okay. Gamma rays. It’s an 85% effectiveness rate versus a 95% effectiveness rate. There is a small chance I could be permanently numb, but I like to believe there is a small chance I become the incredible hulk. 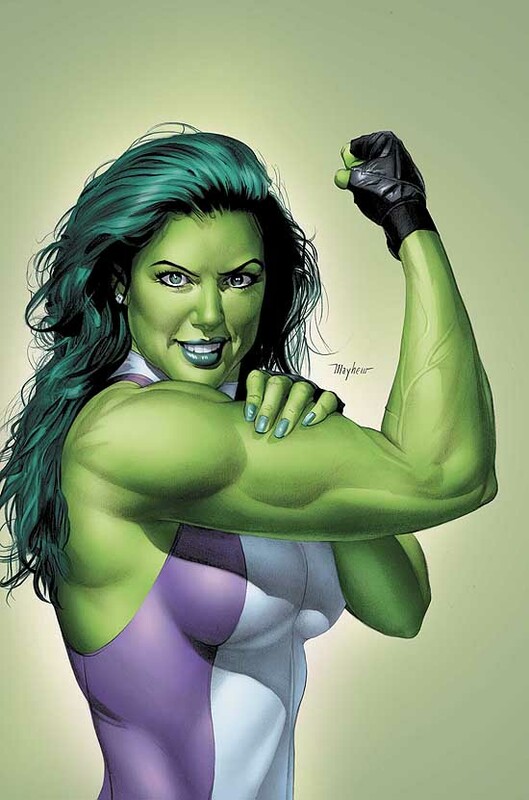 (Though Dan says I would be the credible hulk because I would back my claims up with citations.) Two days of feeling not so great and then I see if there is any improvement. I can do the GammaKnife twice and the surgery once. If those don’t work, I can burn the nerve. Honestly, I am freaking out. Now I am crying and scared. In 18 days I ship off to Michigan to be hospitalized for 24 hour in-patient treatment. I am looking at brain surgery. My cardiologist is testing for PFO ( a condition where a small hole in the heart is the cause of migraines.). The presentation has changed. I can no longer believe I am simply managing a worsening condition. I now really feel as though I am falling apart.